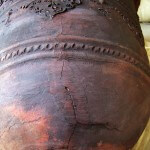 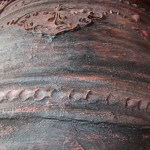 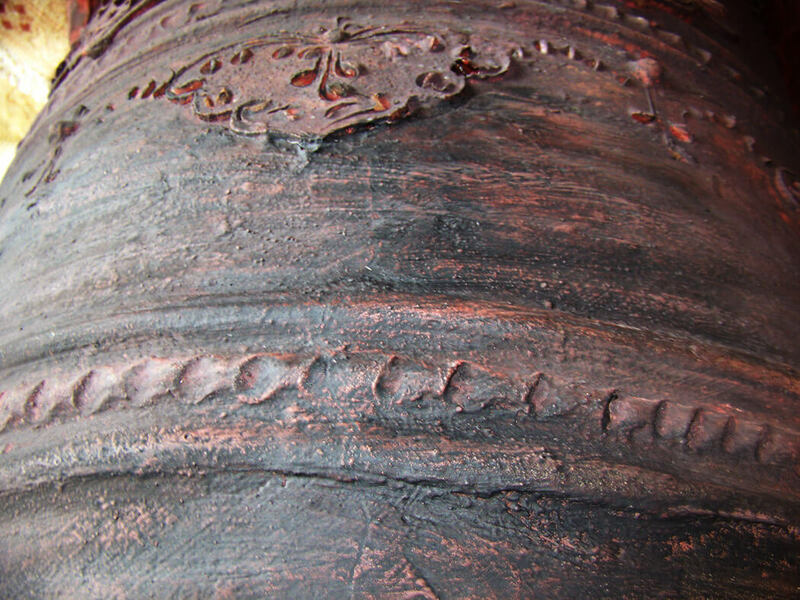 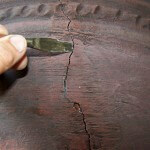 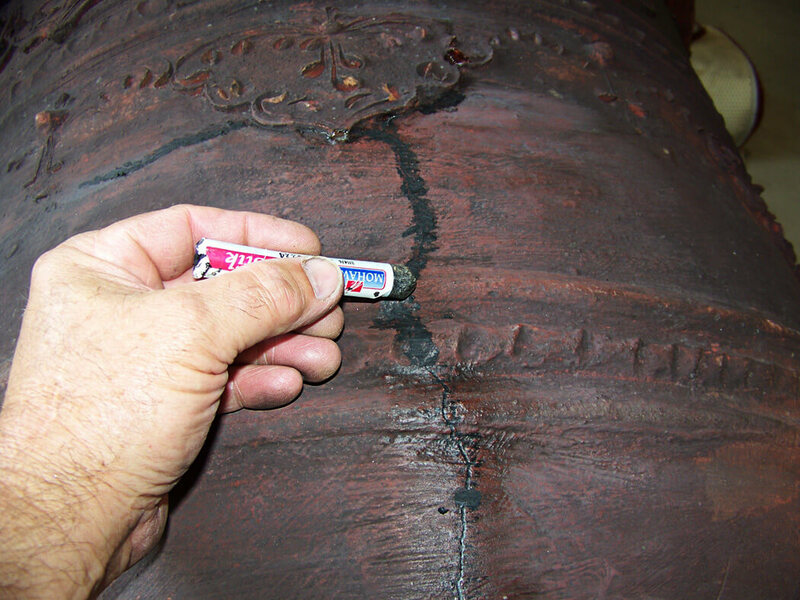 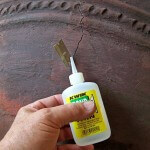 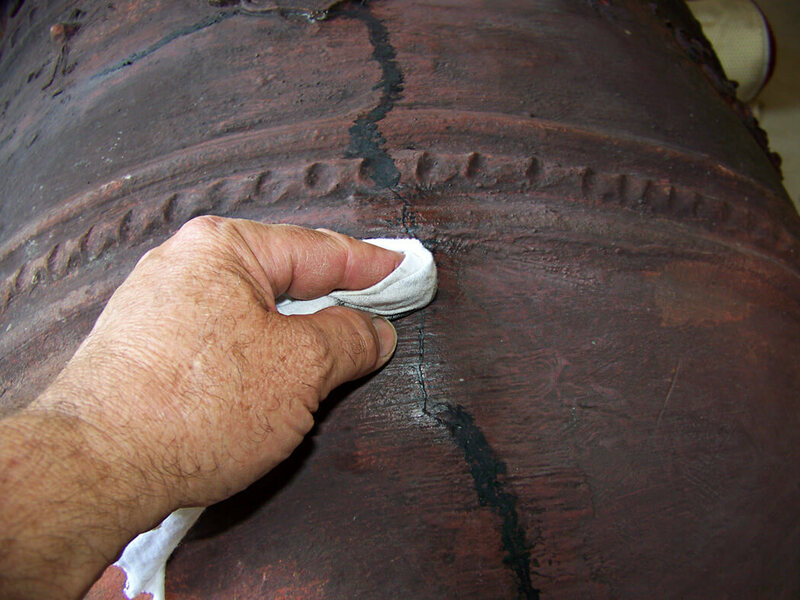 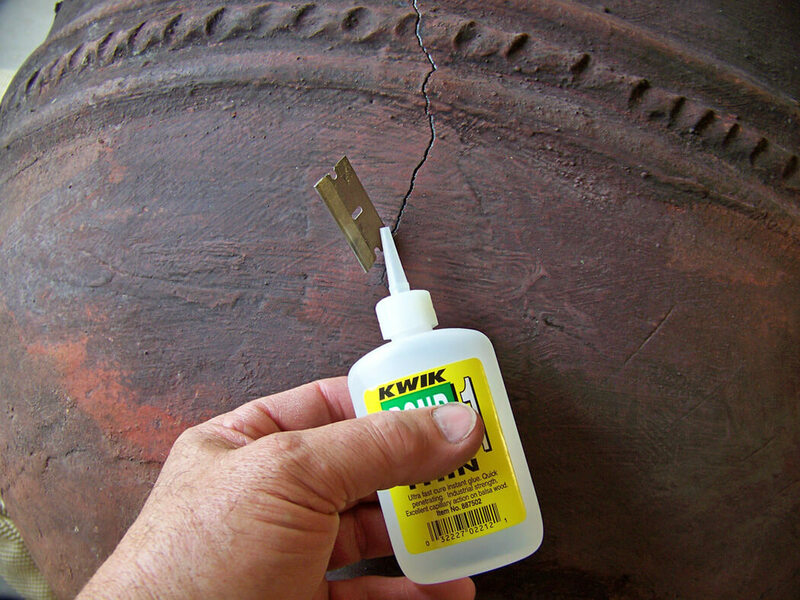 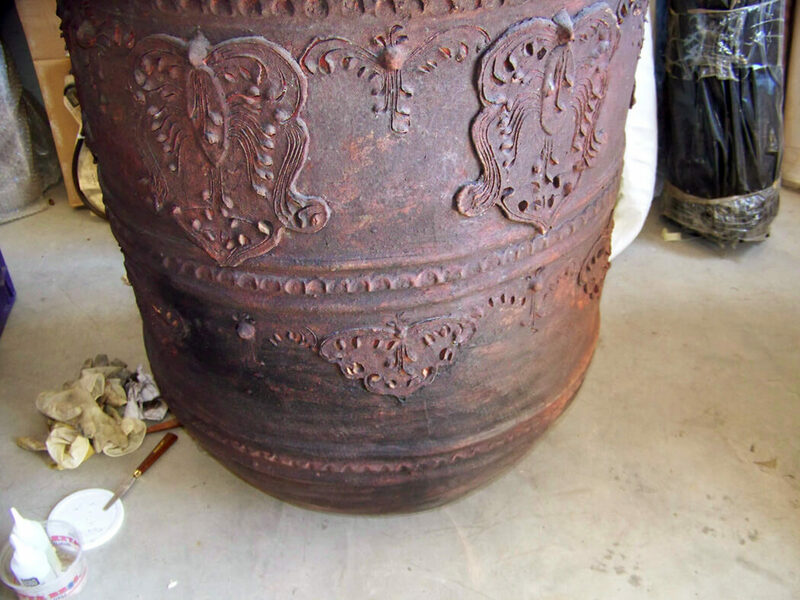 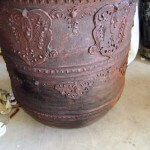 This large terracotta pot was cracked and damaged, needing the cracks to be glued, filled and touched up to blend the repair and make it invisible. 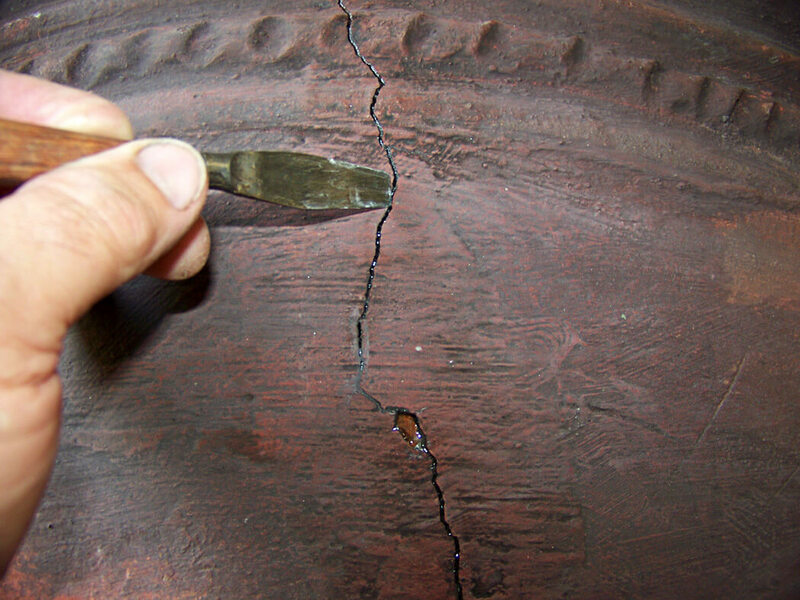 Additionally, I glued cracks on the inside of the pot and waterproofed the inside too in order to prevent future cracks through water damage. 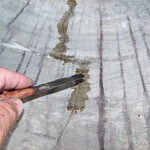 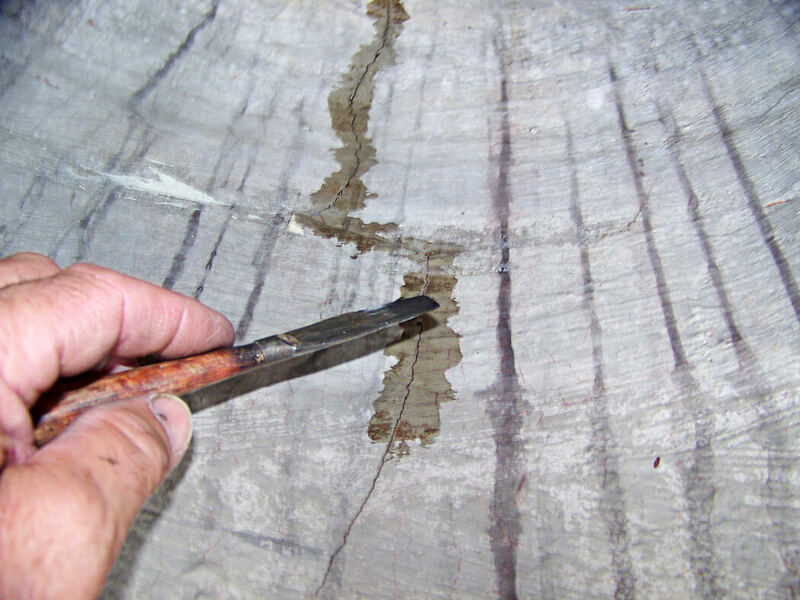 Applying cyanoacrylite glue to prepare for epoxy glue. 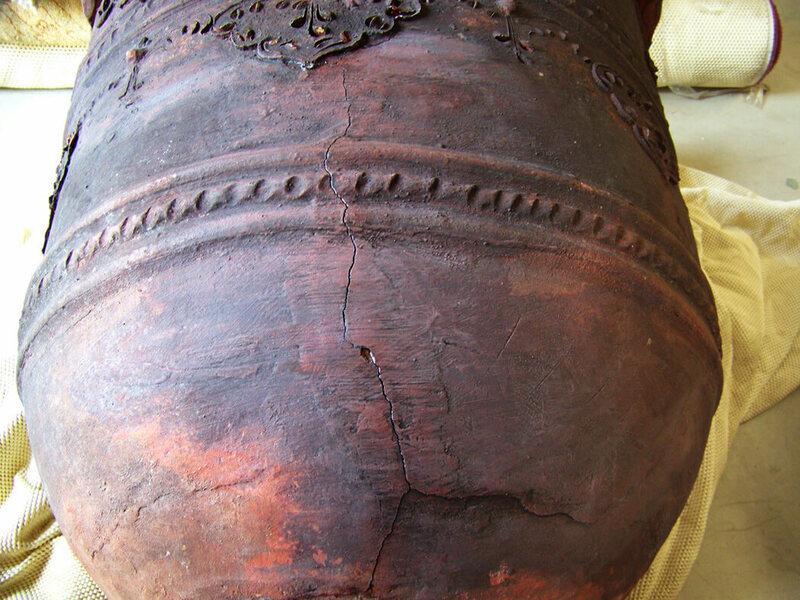 After fill and touch up. 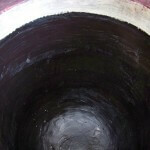 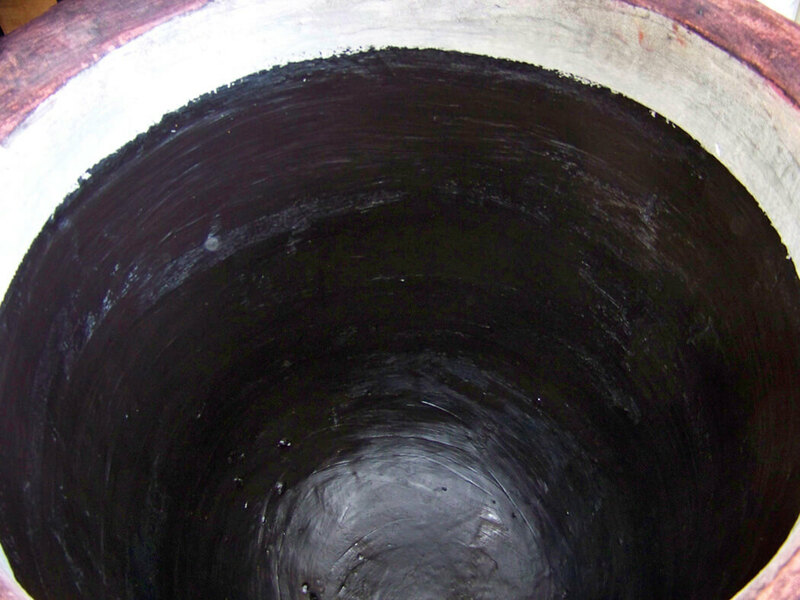 Black waterproofing applied to inside of pot.